Hi, my name is Fatin. 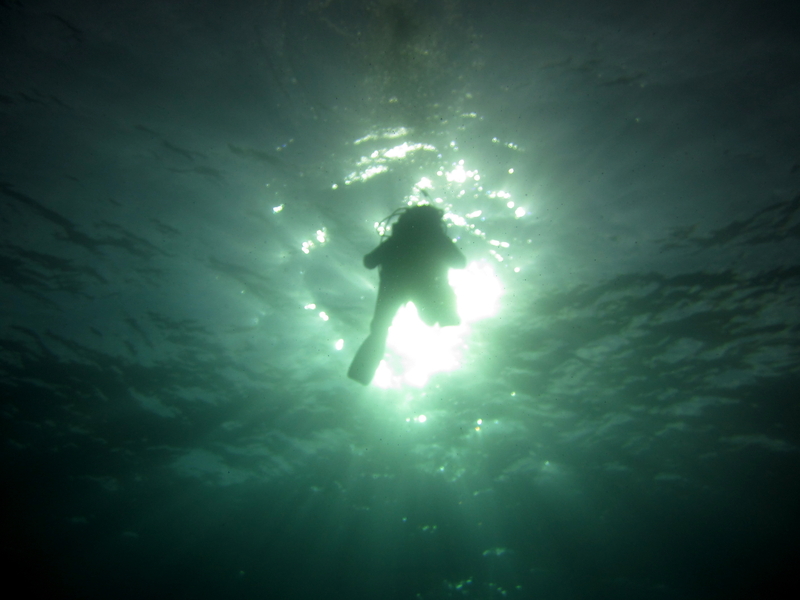 I am a dive addict. And the only therapy I’m getting is to continue my addiction. Started from an insecure diver, I blossomed to a confident divemaster through the span of the 8-weeks long Divemaster internship, with the guidance of the instructors, Divemasters and Interns. 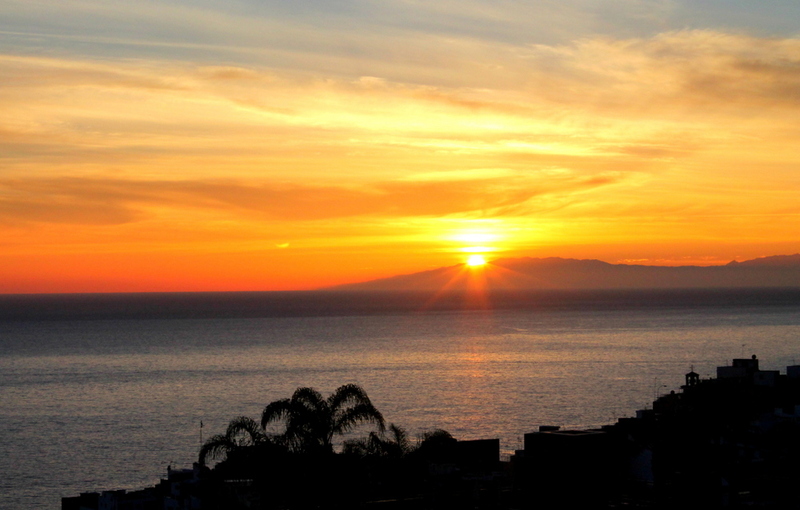 The weather of Tenerife, the divers, the dive sites and the crew are the main reasons for me to extend my internship for another 3 weeks to gain more experience as a Divemaster before I wake up to reality. 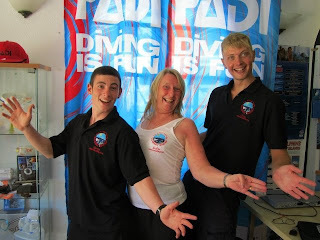 Another dive-a-licious week with awesome divers like Richard, Maggie and Tony. It was my first time leading dives and being in-charge of the dive logistic/itinerary. In the beginning, it was super nerve-wrecking because I was used to following everyone else. But after the first time, leading is actually very fun and satisfying. Also, it helps knowing there are others interns to back me up. This week also marks the first week of two new interns. Pretty cool divers who will definitely blossom into awesome divermasters within the next 6 weeks. Can’t wait to see their progression! 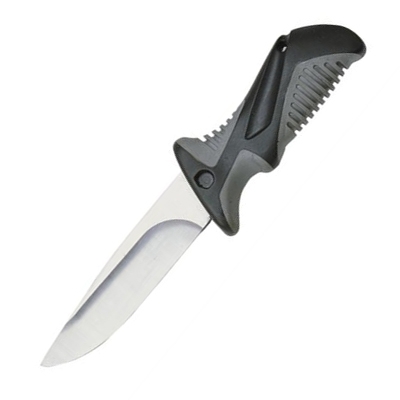 Hello new interns, you seen my diving knife? When you say something over and over again, you start believing it, and I am starting to believe I am really a Starfish, a brainless creature, but still a pretty sight. This week, I have been leaving breadcrumbs around the different dive sites in Tenerife; my dive knife and my starfish earring. After my rampage of killing black longspine urchins during the first dive of the fateful Wednesday, I didn’t clip my dive knife properly, and it decided to move from my handle to the reef. On the second dive, everyone else was involved in the massacre operation of the black spines, while I was desperately searching for other signs of life to keep me preoccupied. It was such a bleak day. And then on Sunday, my earring got stuck on my BCD and then fell into the rocky reef, making it difficult for me to retrieve. Moral of the story: be a zombie and get myself some brains. On a serious note, this week was a time for both a goodbye and some hellos. Paul left us to return back to reality. 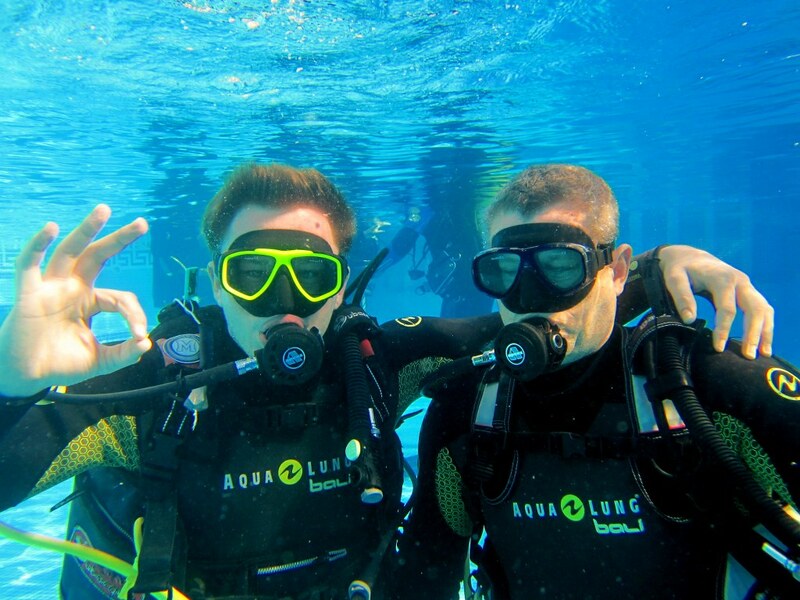 It was an awesome dive-alicious week with him and the crew. 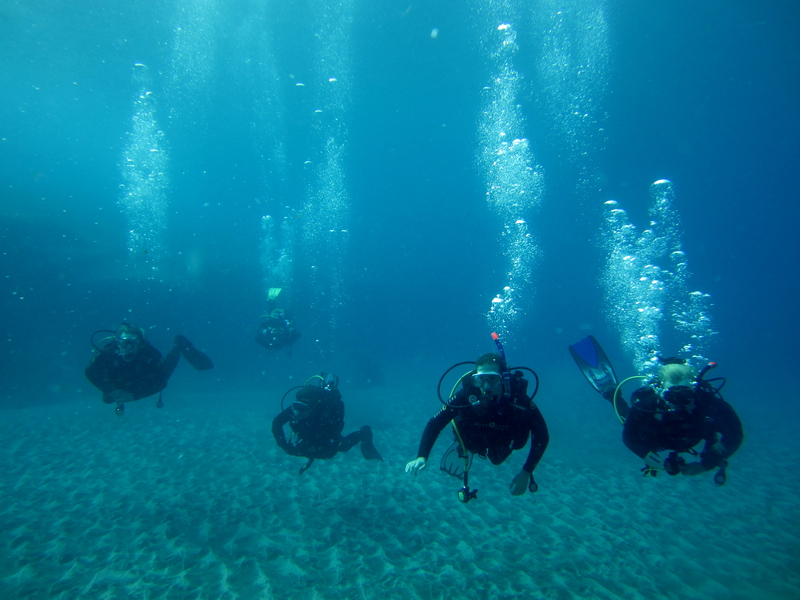 Just the 5 of us, hitting dive sites and creating bubbles underwater. We explored a new dive site for me called “El Poris”, a beautiful rock wall dive, where we saw a sleeping cuttlefish, several moray eels, octopuses and a Virgin Mary statue underwater. We are going to miss him. Two new interns, Abu and Flo, just arrived over the weekend, can’t wait to meet and work with them! 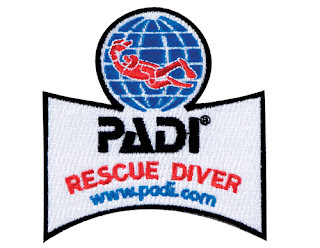 Done it, Im a PADI Divemaster………. Whats next? I AM FINALLY A DIVEMASTER!! I would like to thank my family, friends, motley crew on the Divemaster internship for believing in me: The Instructors, Divemaster, interns. Couldn’t have done this without you lot. Frankly, once everything is accomplished and after the momentarily feeling of accomplishment, the “meh” blank expression slowly settled in. To put in a cliché manner, it is like the three stages of mountain climbing. Stage 1: Self- doubt. At the foot of the mountain, you look up and question yourself whether you are crazy and whether or not it is possible to conquer it. Stage 2: Giving up. Half way up the mountain, panting and out of breath, pain surging through your entire being, you look up thinking whether this pain is worth it to continue on, and then look down thinking it is much easier to go back down. Stage 3. Accomplishment. At the top, you scream “I DID IT! !” and happy thoughts of having conquered causing you to have a permanent goofy grin on your face. After a couple of deep breaths and moments of enjoying the view, you wonder what’s next. This needs some time to figure out. Apart from the grimness, it was an awesome week diving. 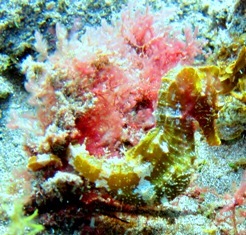 Great customers, crystal clear visibility and amazing sea animals. Managed to spot giant stingrays, octopuses, arrow crabs and high-5ed a green turtle. 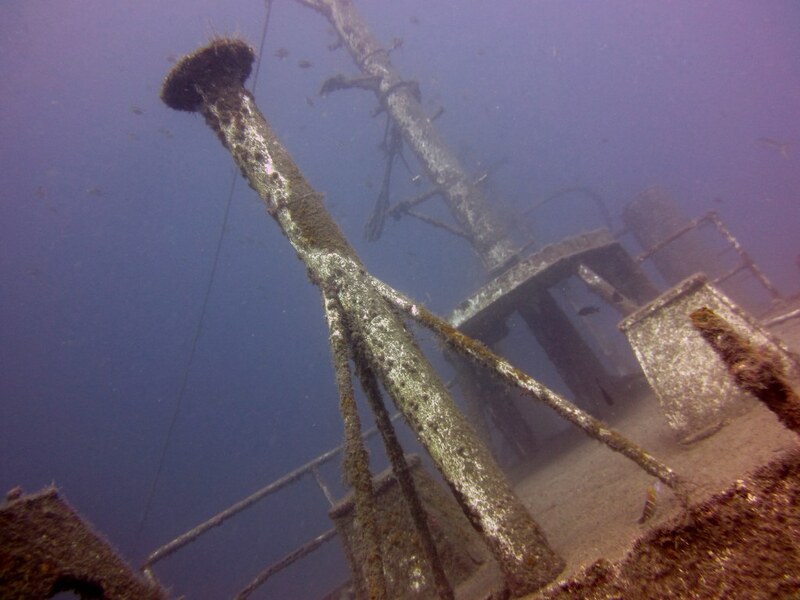 Wreck Diving, EFR and Santa Cruz, what a busy week! This week consisted of me diving on Monday, Tuesday and Wednesday, with two days off on Friday and Sunday and a short day on Saturday. Monday saw me head to Abades for only the second time, on a day with high winds and strong swell, with Hermit, Flo and Dave, a seasoned customer. Flo took the lead on both dives. On Tuesday, Flo and I took Hermit, Jens and two more customers Phil and Dean firstly to Las Eras and the second dive of the day was in El Porís where we got further than usual due to good air consumption by the divers and Flo’s careful dive leading. Both dives had lovely visibility and there was plenty of life on show including big cuttlefish, octopus, shoals of bream, damselfish, scorpionfish and a couple of nudibrancs. Wednesday Ebb, Hermit, Sofia (Ebb’s visiting Italian friend) Nick and I to Tabaiba (which like Abades and El Porís I had only dived once before) to do two moderately deep dives on the wreck of the El Ratón. It was amazing to see so many fish circling around us on the deck, including one very curious barracuda. We also took a look inside the wheel house and it provided a very disorientating sensation as the bubbles moved in a different direction to the orientation of the wreck. Away from diving, we got a free meal at Flashpoint courtesy of Flo losing a bet with me on who would do better in our exam, I passed my Emergency First Response exam and four of us took a trip to El Teide and round to the north side of the island, which was stunning on such a clear day. It was also interesting to see how much more luscious and green the north side of the island by Santa Cruz is compared to the south. Pieter and I also went to Siam Park on Sunday, which was a fun day out but also a shame that more of our group didn’t come along due to still feeling the effects of a heavy night previously. 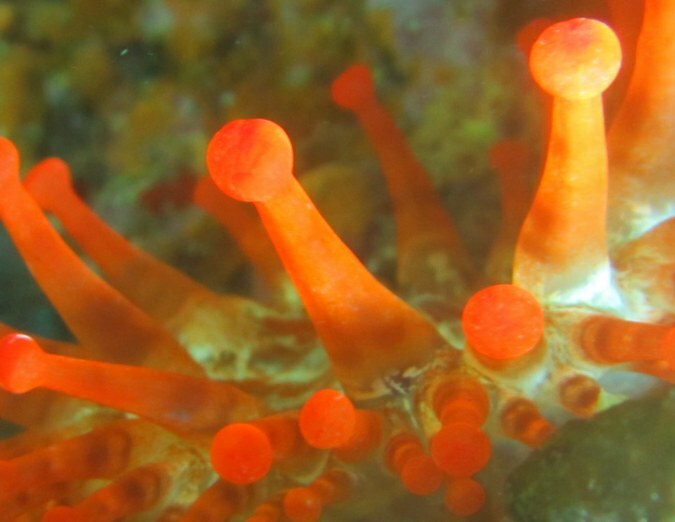 A night to Poco Naufragio brought lots to see for our divers. 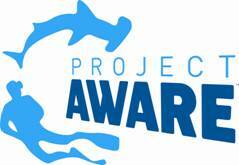 Cuttle fish everywhere, Moray Eels and evern a Sting Ray popped up from the deep! Oh yea! I am officially qualified to give CPR during emergency situations, not that I’m going to run up to random strangers demanding whether they want to receive rescue breaths and cardiopulmonary resuscitation. This week passed by in a blur where days were melded with each other with accomplishments, new challenges and a favorite dive. I helped with my first DSD participant, 11 year old Julien from France. 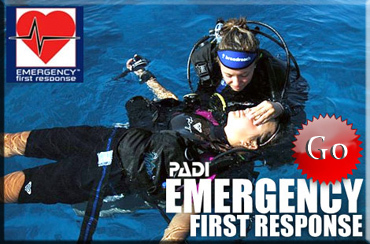 Discover Scuba Diving (DSD) is basically a beginner diving course where one learns the basics and able to dive with instructor present. And it is interesting that although we had a language barrier (me in English and him in French), we communicated successfully using the universal diving sign language. At the start of the open water dive, he had trouble with buoyancy and had to hold my hand to keep him in vertical position to fin around the reef. By the end of the day, he had the confidence to control his own buoyancy. 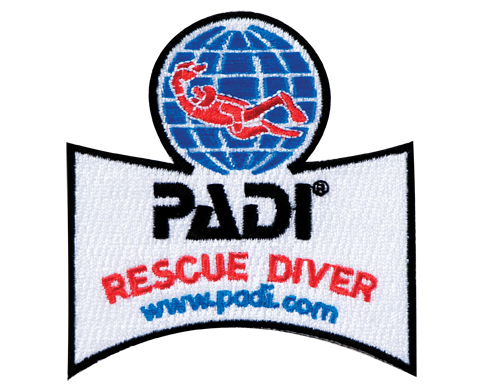 I am also half way through my Rescue Diver course, with two more tasks to complete and I can focus on my Divemaster course. On the other hand, my hardest challenge yet is my physical fitness for the Divemaster course. My usual exercise was constantly using my mouth and finger muscles, yapping away all day or typing continuously on my computer. Now, everything will have to change. I have to work out more often and swim everyday, on top of the everyday hard-work. 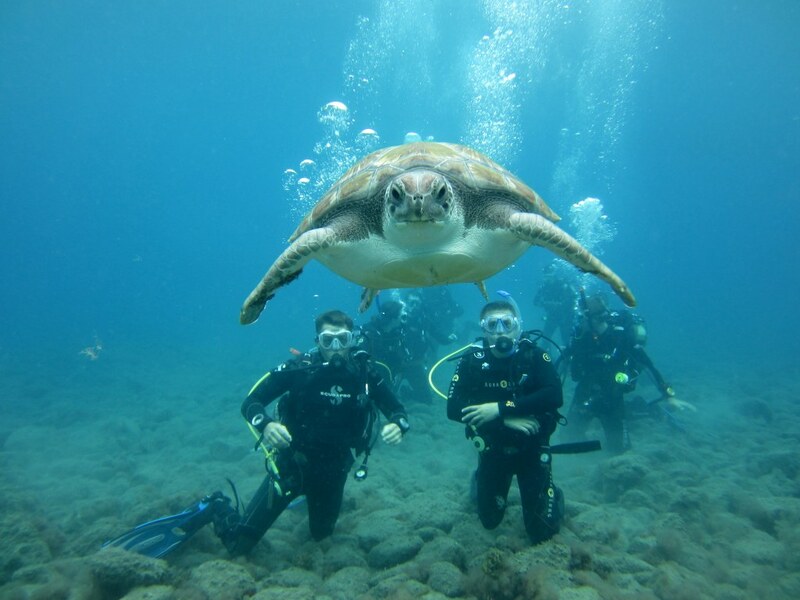 To wrap up the week, I managed to dive with Green Turtles!!! Not one, but THREE! I was so excited! I have seen turtles in my previous dives in Malaysia before, but they were usually disappearing in the endless blue. This time at Alcala, where the water was beautifully calm and crystal clear visibility after days of rough currents, the turtles came up close and personal with the interns, instructors and two DSD customers. One was twice the size of a XL shirt. 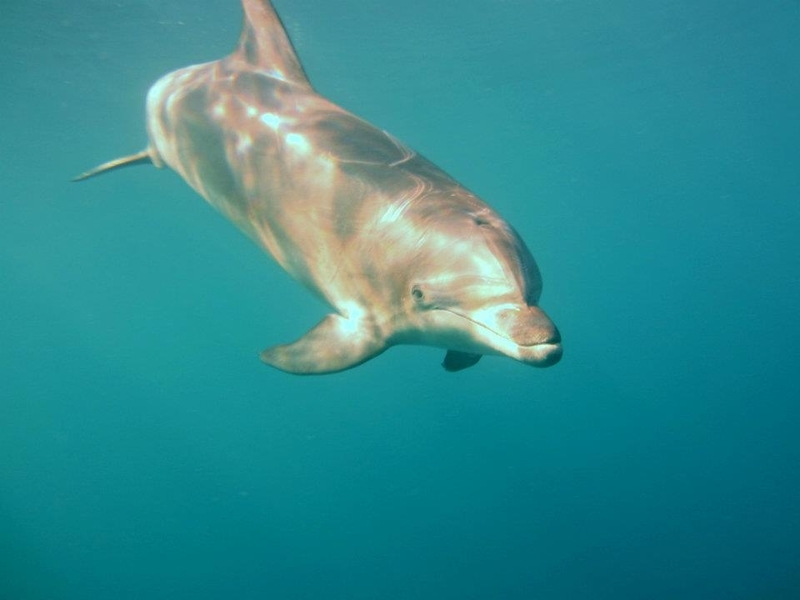 Such majestic and beautiful creatures. This marks my favorite dive in Tenerife so far. 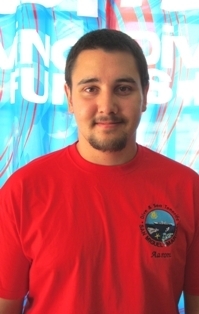 I wanted to do my Divemaster internship because I’m a marine biology graduate struggling to find paid work in this economic climate and I thought getting a Divemaster qualification would not only be good for my job prospects but also be a worthwhile experience for me as a person who has been diving since they were 12. I arrived two weeks earlier than the Divemaster interns would normally have started, and no sooner had I introduced myself I was doing skills in the pool, doing two shore dives and swimming 800m in a marina all on my first day. The rest of the week has seen me meet one of our resident stingrays called “Stumpy”, come very close to two extremely friendly green turtles, conduct my first night dive in Tenerife and dive a fabulous wreck. It has certainly been more full-on than I was anticipating, but that is not a bad thing at all! The only negatives that have really happened have been the Jumpy running out of gas on the motorway and my camera dying – let’s see what my insurance can sort out there. Outside of diving I have enjoyed two meals out with the group, including an amazing curry at Taj’s with free sheesha and shots at the end, lovely home-cooked meals from Flo and Phil and cocktails on Friday night. I have loved meeting all the current interns and all the staff at the dive shop also. Here’s hoping the next 7 weeks are just as exciting. This week was for Starfish, we spent most of the week finishing every skill and dive Starfish had to do to become a PADI Divemaster. We finished the stamina, did the deep assesment, completed the book and exams, and got her to lead and brief some dives. This was also Paul and Casper’s last week diving with us, it has been a lot of fun diving with them, listening to all the story’s and experience’s they have had. Unfortunately the weather took a bad turn near the end of the week because of the aftermath of a hurricane across the Atlantic. Although rough, it was a fantastic experience diving in different conditions than the usual and gave us all an insight into a different type of diving. 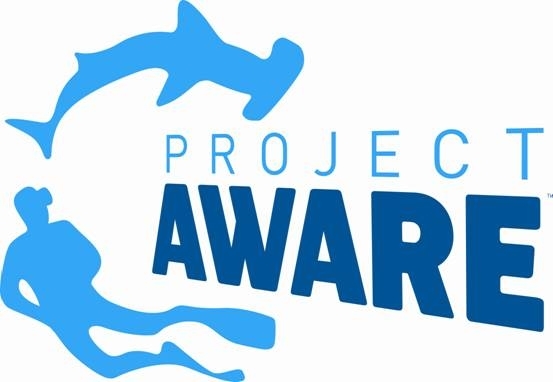 Im lookin forward to next week when Paul arrives and Starfish finally get’s her 60 dives. It is going to be a good couple of weeks. 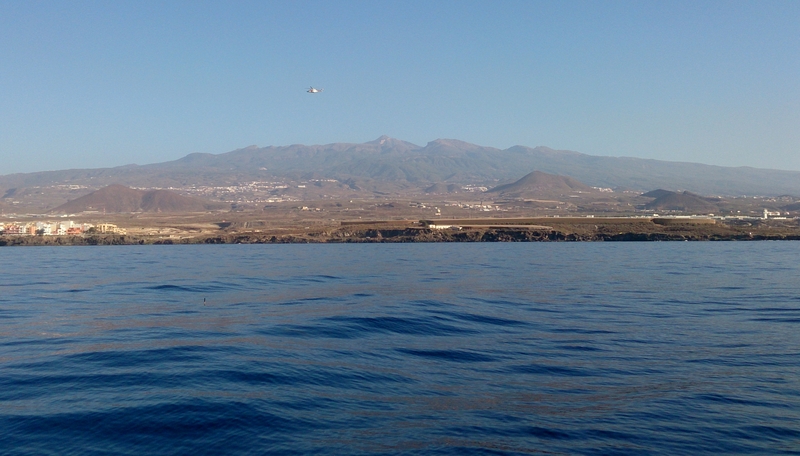 Another busy week here at Dive and Sea Tenerife. This has been a very “real” Divemaster week for me. I’ve been a part of every dive and I have been assisting, briefing, leading and helping out where it was needed. And I love it! First time leading all by myself was a bit frightening, but I powered through and learned so much from it! 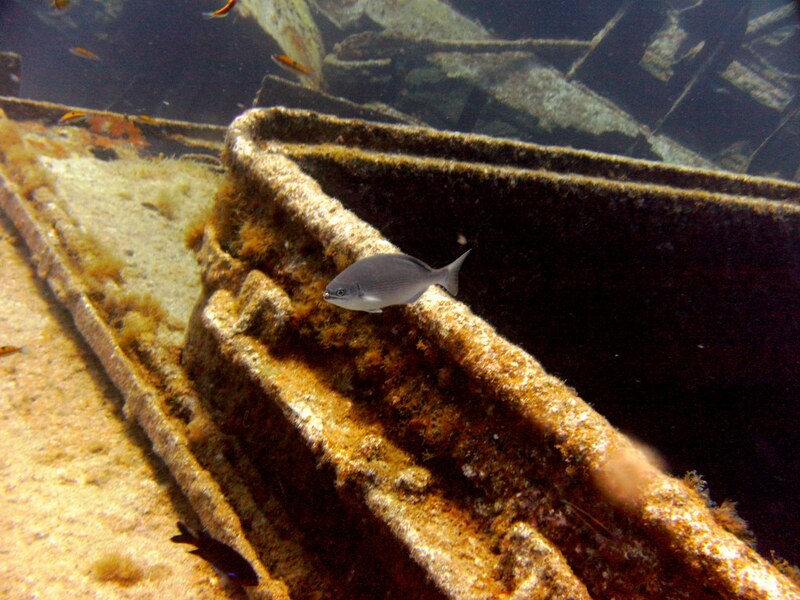 We have been exploring two new dive sites, to me, this week. First we went to Playa San Juan and then El Poris, I was leading both and it’s amazing how focused you can get when you just need to trust your compass and visual references to get back to the exit point. 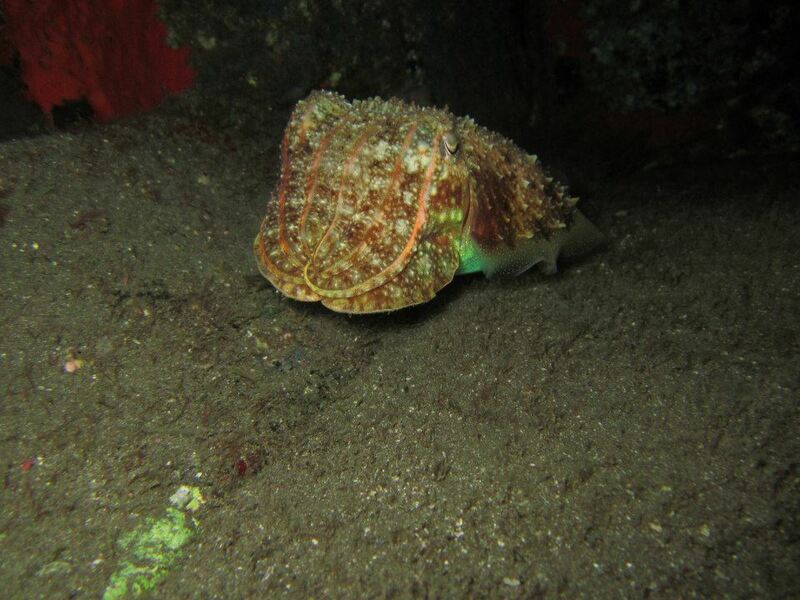 Last Sunday we had an amazing night dive at Radazul! 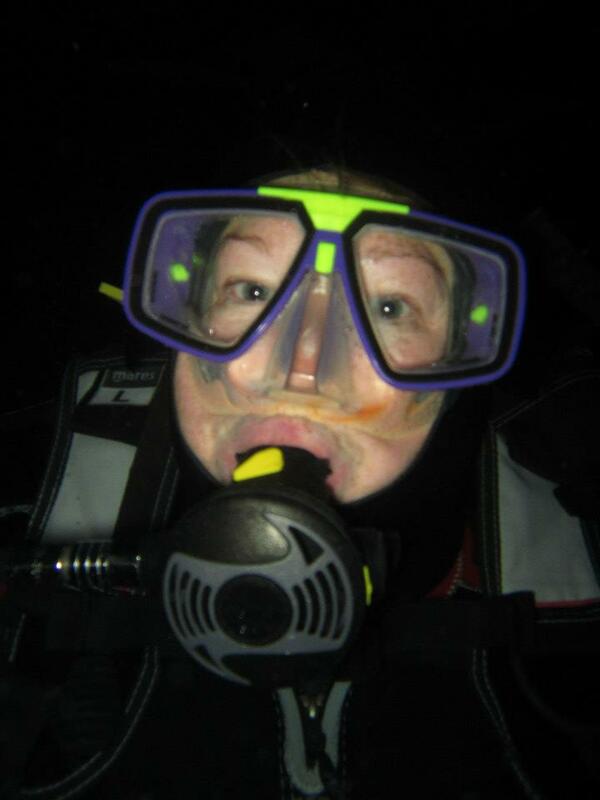 I love night dives, their so exciting and mysterious. 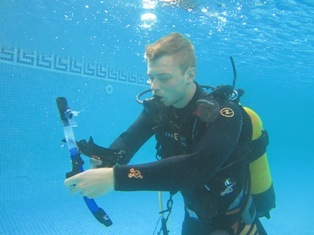 And it was Lewis’s first night dive as well, and he did very good! Monday we headed off to Abades to dive with the vibrant fish life. The visibility was PERFECT and we got great pictures of the second reef. Next day it was time for mapping Tabaiba for my Divemaster. So much to think of when mapping, but Tabaiba is always fun whatever you do! Alan and Steve is back in America and we really miss our awesome Americans. So at right now and until Monday it’s only me as an Intern. Well I am definitely excited to say that at the start of my 5th week, here at Dive and Sea Tenerife, I passed my Divemaster exam!!! Whoooo!!! Now all I have to do is get my dive count up and I’ll be a Divemaster. So this week was a week filled with diving. 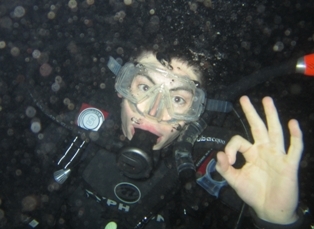 We started off with two great dives at Tabaiba doing Patrick’s son James’s advanced open water dives. 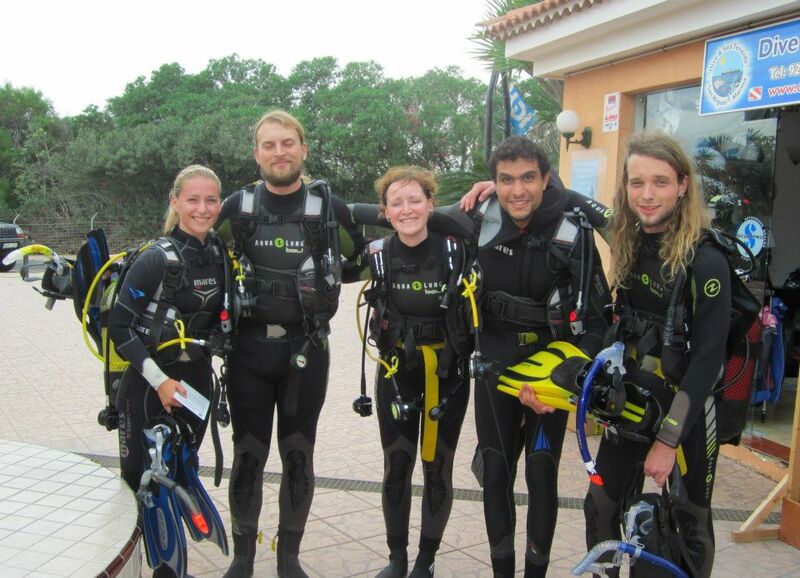 And then throughout the middle of the week we did four dives at Abades, and then ending a another two dives in Tabaiba. Also this week we welcomed a new intern, Ollie. 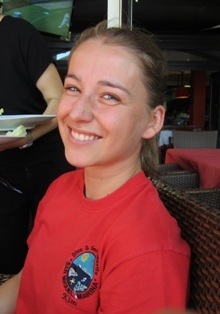 She’s from Norway and speaks English very well and fits in perfectly with the rest of the team. But as we gain one intern we lose another. This was Buzz’s last week at the dive shop and I was so sad to see him go, he became a very good friend and I look forward to diving with him in the future. Well now its on to my sixth week here and my last week as a rescue diver! 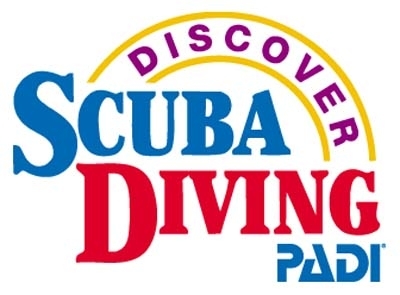 I can now say that after my second week here with the team, I am officially a PADI Advanced open water diver! The dive instructor here, Patrick, has been extremely helpful in guiding me and my co-intern steve through the dives that we needed to complete the course. 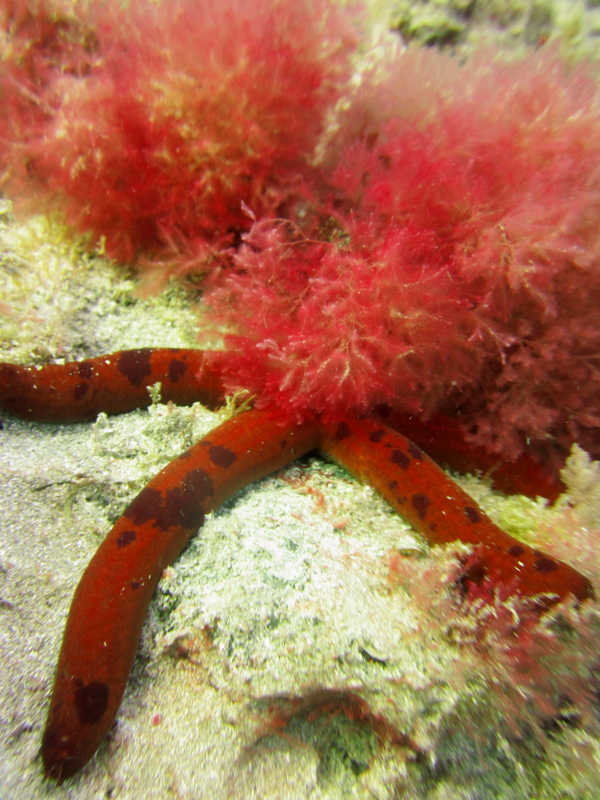 As usual the dive sites and visibility have been incredible here in Tenerife. 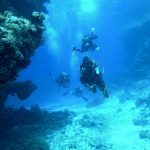 We got to dive a new dive site, well to us anyway, in Las Eras which is a deeper dive to about 25 meters with beautiful boulders and rock formations. The amount of trumpet fish we saw there was incredible. 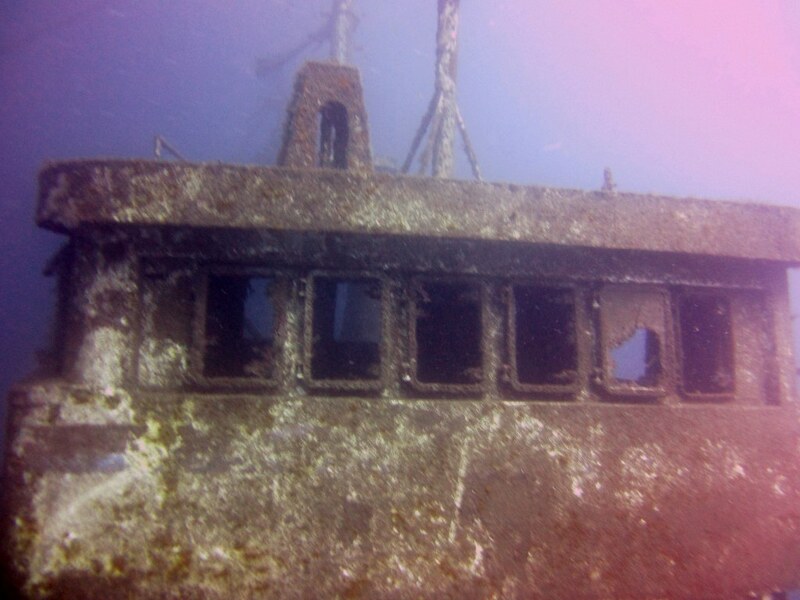 We got to dive my favorite site again, it’s a ship wreck off of Tabaiba which is also a deep dive to 30 meters. Now all me and my friend Steve have to do is finish our PADI Rescue divers course and then it will be time to work on our Divemasters. I’m so looking forward to the remaining six weeks here with good friends, nice people, and of course incredible diving.